MILWAUKEE – Tuesday, August 22, 2017 – The 2017 Milwaukee Film Festival, presented by Associated Bank, is excited to announce the full lineup for Cream City Cinema. Now in its ninth year, Cream City Cinema showcases the best new work from Milwaukee-based filmmakers and awards three juried cash prizes totaling $12,500. 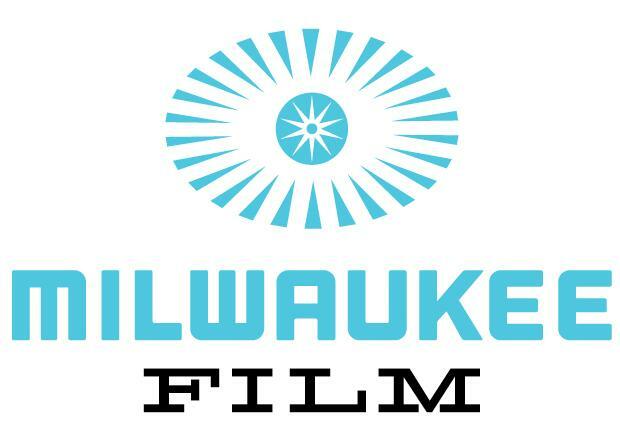 This year’s program is comprised of four shorts programs and six feature films, including the documentary Roller Life profiling Milwaukee’s own Brewcity Bruisers; the coming-of-age period piece Scott Road; and the return of the popular The Milwaukee Music Video Show, featuring music videos for notable local artists WebsterX, The Fatty Acids, and IshDARR. In addition to the Cream City Cinema lineup, films with local ties can be found in other programs throughout the festival. These include Mark Borchart’s short documentary The Dundee Project, which will screen prior to Love and Saucers in the Cinema Hooligante program; Across the Line, an immersive virtual reality short playing as part of the VR Gallery; and Dear Coward on the Moon, which will have its world premiere during the festival in the Spotlight Presentations program. 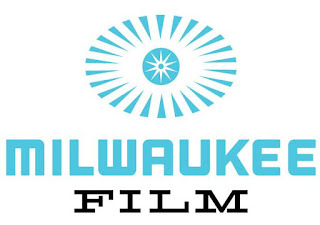 Cream City Cinema is presented by John Axford and The Fischers and is sponsored by Urban Milwaukee, UWM Department of Film, Video, Animation, and New Genres, and WUWM 89.7 - Milwaukee Public Radio. The program is supported in part by a grant from the Milwaukee Arts Board and the Wisconsin Arts Board with funds from the state of Wisconsin. At the age of 25, Alex Rust was successful, but unhappy. Forgoing the comfort of a solid career track, he decided to take a leap of faith on a global adventure beyond his wildest imagination. Trading his minivan for a small sailboat dubbed "Bubbles," Rust sets course for the Bahamas (guided only by a copy of Sailing for Dummies), kicking off a yearlong excursion that took him to the corners of the world in this portrait of a restless spirit edited by MFF alums Chris James Thompson and Andrew Swant. A 2013 Los Angeles initiative to create public art projects gets the documentary treatment in this locally produced (among numerous local ties!) look into civic-minded creativity. Four groups, with skill sets spanning various disciplines, are tasked with transforming vacant or underutilized areas throughout the city into public spaces that feel safe and encourage community-oriented activity. From conception through execution, you're given a ground-level view of the tension and exhilaration involved as artists and communities partake in creative placemaking, a conversation not dissimilar to those taking place in Milwaukee. A wedding reception in a West Allis bowling alley, populated by a motley assortment of friends, coworkers, and family, have congregated to celebrate the union of David and Tyesha. With each passing minute this melting pot of Americana (different cultures and identities abound) threatens to boil over as the attendees anxiously await the arrival of the bride and groom. An ensemble piece that's alternately comic and dramatic, Life of the Party (from Milwaukee's own Rubin Whitmore II) is a wedding you have to see to believe. Anyone driving on I-94 in years past couldn't help but notice the barn with "Study Natural Law" plastered on its side and wonder what it meant. The riveting Manlife shows us truth is stranger than fiction - the barn references the life's work of Alfred Lawson: baseball player, inventor of the airliner, and creator of an economic/spiritual/philosophical movement known as Lawsonomy. But equally fascinating is the story of the man who has singlehandedly kept Lawsonomy alive for decades: Merle Hayden, Lawson's last crusader and a man apart in the modern world. If these shorts are too loud, you're too old. Our annual showcase features a who's who of the local music scene (Webster X, Ishdarr, Marielle Allschwang, Fatty Acids and many more), running the gamut of musical genres while also showing us the exquisite diversity allowed by the music video format, a series of short, sonic bursts of creative excitement. Each year The Milwaukee Show is one of the hottest tickets in town—a rare chance to see work from our local best and brightest in the gloriously opulent setting of the Oriental Theatre's main house. Highlights this year include exquisitely crafted animation, a puppet musical, and a variety of eye-opening looks at serious issues (mental health, human trafficking and bullying). Our ongoing crusade to get you to cinematically buy local continues here with this second installment celebrating the multitude of talented voices creating on the local scene, the best celebration of local talent one could ask for. Highlights this year include a little bit of 'Sconnie history, mind-expanding experimental films of the highest caliber, eye-popping animation, and much more! If you want to see the latest work from our bright young things, look no further: This collection of PSAs, animated shorts, documentaries, and genre-spanning fiction made by those 18 and younger in the greater Milwaukee area serve as both a testament to our burgeoning local film scene and a chance to say you knew them before they hit it big! The fastest growing sport in the nation is roller derby, an earthquaking, bone-shaking paean to female empowerment filled with outsized personalities performing athletic acts of derring-do. The Brew City Bruisers, Milwaukee's own roller league, goes under the microscope in Roller Life, showcasing both the amazing teams (including but not limited to the Rushin' Rollettes, Maiden Milwaukee, and the Shevil Knevils) that comprise this special community and the incredible women who have helped to form them. Proof that global cinema can come from our own backyard (producer Youcai Yang calls Milwaukee his home), Scott Road is a coming-of-age story told with uncommon poise and precision. On the verge of the lunar new year in 1949 Shanghai, a 15-year-old boy develops a crush on his young substitute teacher, who just so happens to be his older brother's ex-girlfriend. With both young men set to leave for Taiwan, they must find their own ways to say farewell to their shared love. It's a scene Milwaukee natives will not soon forget: Dontre Hamilton, an unarmed Black man resting in Red Arrow Park, shot 14 times by a police officer in broad daylight, leaving behind a devastated family to pick up the pieces and bringing a community already struggling to maintain positive police-community relations even closer to the brink. Filmed over a three-year period, The Blood Is at the Doorstep focuses intimately on the Hamilton family's strength in the face of unspeakable tragedy, as we follow mother Maria and older brother Nate as they turn to community organizing as a means of honoring Dontre's memory while still doggedly pursuing answers, with public outcry intensifying the longer none are given. A heart-rending portrait of justice deferred from director Erik Ljung, illuminating one family's remarkable ability to channel their grief into fuel for activism and community building, and a sobering reminder of the chasm that so often divides us. World premiere! Jasmine is a precocious nine-year-old girl prone to flights of fancy, constantly traversing imaginary lunar landscapes and exploring the world around her, while her older sister Jade struggles to support them with her full-time job. When Jasmine's curiosity reveals an upsetting family secret that causes her to run away, Jade must reach back into their shared past in order to track down her beloved sister in this locally made, Wisconsin-set family drama directed by MFF alum Carol Brandt. Jawbreaker remains one of the most influential punk rock acts of the 1990s—inspiring and collaborating with bands such as Rancid and Green Day, touring with Nirvana—with their trademark personal lyrics and blistering energy. But an acrimonious album release split them apart, with all three members refusing to ever play with one another again. That is, until an emotional weekend reunion wherein Jawbreaker jams, reminisces, and tries to square away the hurt of the past in this energetic tribute (locally produced by the September Club!) that will have you moshing in the aisles.